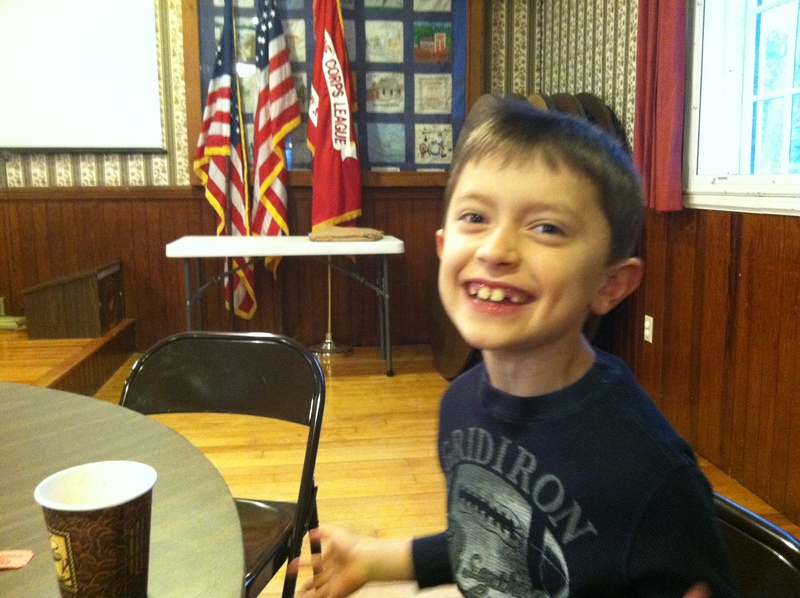 Last Friday morning, Z had the honor of being a guest at Chi Chi’s Rotary Club meeting. Chi Chi (my dad) was giving a presentation about the work that Amigos de Honduras and Pure Water for the World has done down in Honduras over the past 14 years, including photos from this years projects. He had asked that Z and I join him for the meeting and presentation and we were happy to go! 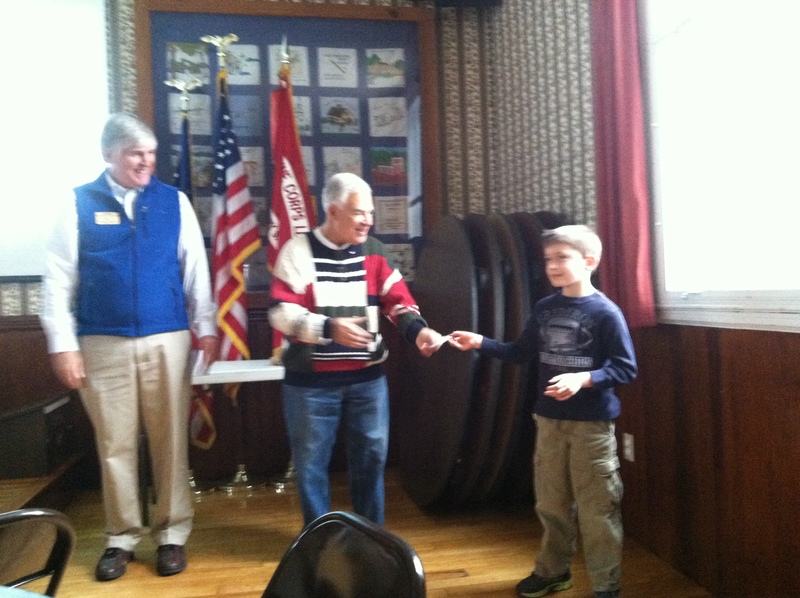 My Dad’s presentation was great but the highlight for me was when Z got to present his check for $53 that he raised through his winter edition of the Z News Paper. 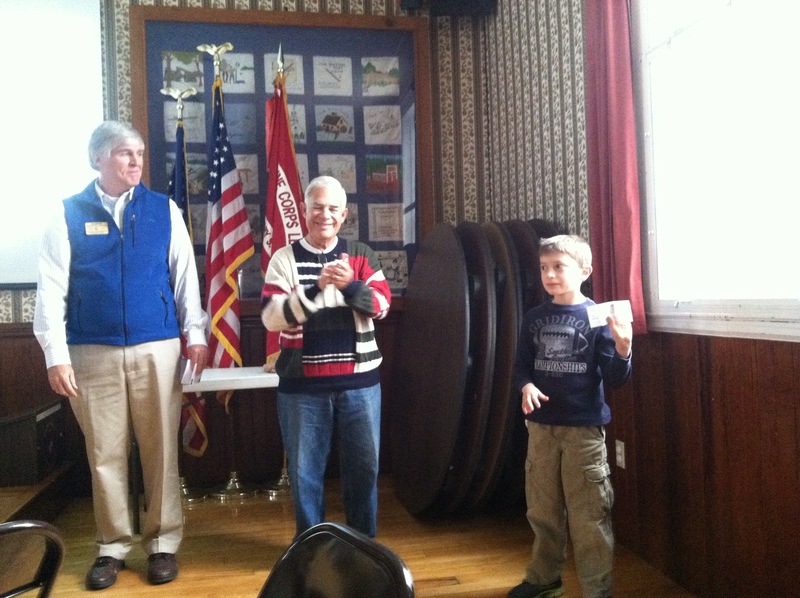 He got to present the check to the Treasurer of the Rotary Foundation, a big honor! Over the past two years Z has donated over $120 dollars to both Amigos de Honduras and Pure Water for the World. His name is actually on two donor plaques in Honduras that hang in the schools that the organization has built. Z has worked so hard on both of his newspapers and loves that the money he is raising is going to building schools and helping villages to have clean water to drink. Work on his third and final newspaper of the school year is in the works, it is a project that we both really enjoy. My dad is an incredible person with a big heart. He gives so much of himself to others and has done great work down in Honduras over the past 12 years. After the meeting Z said that someday he’d like to go to with Chi Chi to Honduras to help out. I hope to see Z’s dream come true and join both he and my dad on that journey. I am not just a proud mama but a proud daughter too!